Kenya from its conception as a country over 5 decades never made it to be a state of right but of law and never achieved to establish democratic and transparent institutions like that of Ghana and some handful African democracies. It has became the main stay of corruption and wanton terrorist act either directly sponsored from international terrorist organizations or from locally sponsored terrorism emanating from its own corrupted rulers. The 2007 election demonstrated the disruption of the country from its existence as electoral democracy in Africa. It is rather transformed from corrupted state to a Sicilian type mafia state patrons running the country and working against its own citizens. 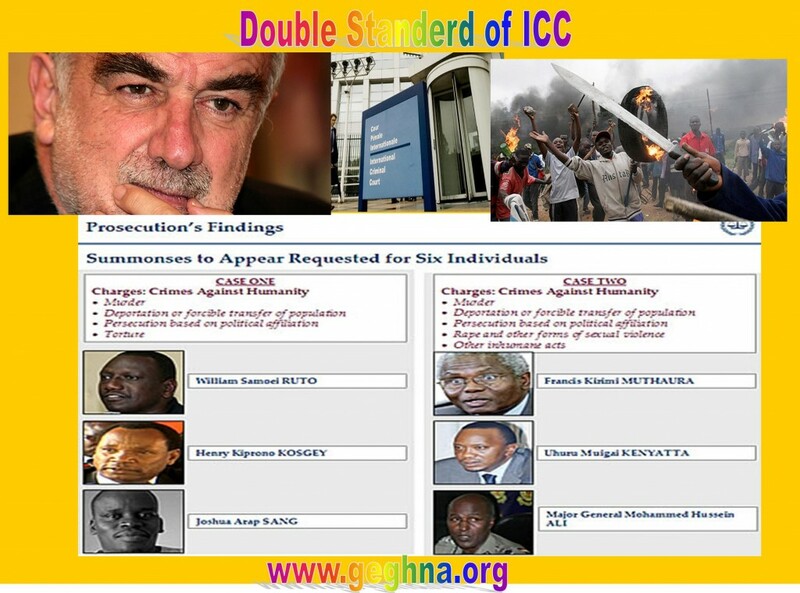 The ICC Prosecutor Luis Moreno-Ocampo is preparing to definitively charge against six top officials implicated in election massacre in Kenya 2007 votes. This is the only just act to set the standard for the nascent democracy in the post colonial Africa. This historical move is in the verge of being blocked by Kenyan Killers using their governmental powers. 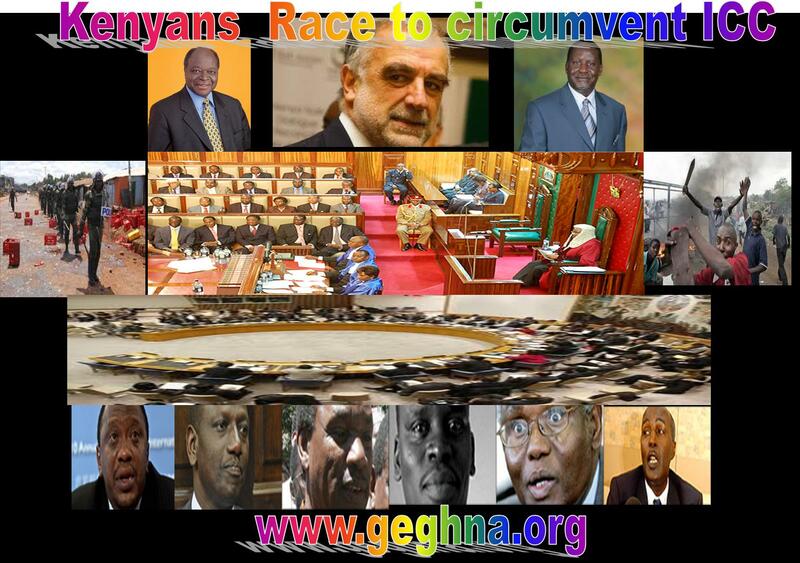 They have launched a continental diplomatic offensive to win the Africa Union (AU) members supported by the continental dictators to prohibit in International Criminal Court (ICC) from prosecuting six Kenyans responsible in 2007 post-election massacre. This could be done by mass walking out or prohibit ICC in the continent .This is the long time dream of the African killers so they could continue their actions in impunity. The son of the First most respected President of Kenya Jomo Kenyatta, who gave the country its present name Deputy Prime Minister Uhuru Kenyatta is leading this campaign since he is one the six on the list of the killers. The key adviser President Mwai Kibaki, the head of the civil service Francis Muthaura is also on the list of the accused following Uhuru for the mission against ICC. The two corrupted, Mr. William Ruto and Mr. Henry Kosgey members the Orange Democratic Movement party of are doing their best to disqualify ICC. Their party was in opposition and won the election making a coalition with President Kibaki’s government with help of the UN. According to ICC if any local court to take over there must first be established internationally recognized impartial, independence and seriousness tribunal. If not even the country concerned establish its own tribunal like Rwanda, ICC will appoint one like Arusha Tanzania. The Kenyan killers could be judged in Arusha since there is no need one in Nairobi, unless you want of circumvent the Tribunal which is under their control. They do not need to make one they have already many local corrupted their own banana courts. Will ICC bring justice or violence to Kenya? The recent Ivorian election has taken the foot step of Ethiopian and Kenyan elections to contest the result and push the winner to exile if not prison, otherwise pressure to power sharing. This model is set by Melese Zenawie in 2005 and later followed by Kenyan elections. Ivory Coast is known for decades of prosperity and stability in the coup trodden region; its cocoa plantations known worldwide. When it comes to political alternation through election did not follow its immediate neighbor Ghana to riches rather highly influenced by the Horn African’s model which is leading to instability and civil war. Like the Ethiopian and Kenyan elections loyal groups both candidates claiming Ivory Coast’s presidency clashed in the streets of the commercial capital Thursday, killing at least 20 people and in verge of another civil war. They shot a rocket-propelled grenade hitting an outer perimeter wall of the U.S. Embassy. 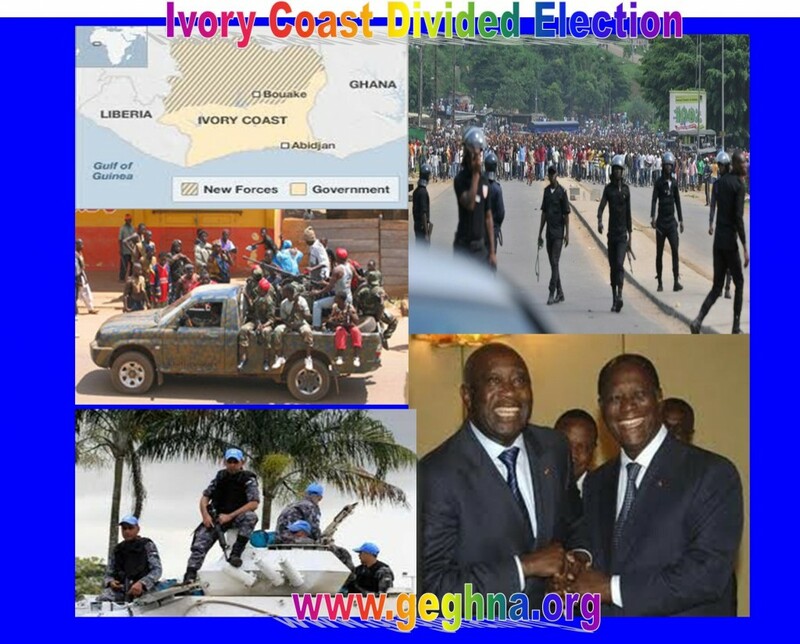 Since 28th of November election runoff Ivory Coast has been operating with two presidents and two governments. Alassane Ouattara was declared the winner by the country’s electoral commission and was recognized by the U.N., U.S., France and the African Union as having beaten incumbent Laurent Gbagbo. However, the constitutional council overturned the results after invalidating a half-million votes from Ouattara strongholds. The bloodshed in Abidjan is part of a risky push by Ouattara to take control of state institutions after the balloting that many hoped would reunite the West African nation following a 2002-03 war that split it in two. Amnesty International warned that the regional powerhouse “has never been so close to a resumption of civil war. According to the associated press, a senior Obama administration official said the U.S. and other countries have told Gbagbo to step down and leave the country within days or face travel and financial sanctions, and there are signs Gbagbo might agree to leave. He has like Melese Zenawie of Ethiopia has homes in multiple countries that he would not be able to use if sanctions are imposed. The Riot police fired tear gas ordered by Gbagbo to use live rounds to disperse protesters in multiple parts of the city. Ouattara supporters marching in the marketplace early in the day were confronted by and shoot at. Ouattara is supported from the rebel-held north, while Gbagbo’s power base is in the south. He plans a second march Friday 17 December to take back other government buildings and hold a Cabinet meeting and called on his backers to help him take control of state institutions. On Thursday, they had vowed to march to the national television station to install a new state TV chief, but they did not get close to the building and were fired at causing victims. The two stations in the building are the only Ivorian broadcasters in the country. The U.N. Ban Ki-moon has warned the politically charged environment could spark a new civil war. LAMU Archipelago the New Eastern Africa gate way for land locked Ethiopia & Southern Sudan Muse Tegegne, Prof. The new Kenyan Lamu port is the futuristic Eastern African gate way for the land locked countries like Ethiopia, Southern Sudan, Uganda and central African Republic. While ports like Mobassa and Dar es Salaam are over stretched due to their increasing Great Lake markets. The Eastern African ports like Djibouti Barbara Asseb seem stranded by the belligerent conflict, increasing piracy and Somalian conflict engulfing Yemen. The futur of Red Sea has been endagnered due to geopolitical change in the region. The extraction of natural gas from the Indian Ocean region stretching to Ethiopia, Egypt, and other countries of the Red Sea region will be precipitating a collapse in price for gas and petroleum, will further create un expected increase in the conflict the passage through the Red Sea. Concerning the budget of construction for this big project, China here is particularly interesting in the context of the political economy of the regions and her increasing role on the continent. The Japan is planning to build a pipeline from South Sudan to share from the source of the region seeing the conflict in the Gulf and Red Sea costs to assure her energy supply. Lamu will enable China far easier access to Africa’s East coast as inn the historical past with this port. China’s environmentally reckless attitude in its Africa policy has increased her critics due to the social and environmental impacts of a new port will off course a have lasting effect on the traditional Swahili fisherman unless the necessary measures are taken to enhance them too cope with the coming inevitable destruction to their traditional habitat. The United States, Qatar, the United Arab Emirates, India are financial supporters of various aspects associated with this project. Egypt since the recent Nile accord which was singed against its wishes by the countries of the Nile Basin has forced her to covertly support radicals in the Horn to weaken Ethiopia and to be able to revive its dominance of the Red Sea and the sea lane which links to Egypt’s Suez Canal. Estimated Ethiopian gas reserves, were reported at 12.46 TCF, will be expanded as it has descovred great gass reserve in Ogadean. 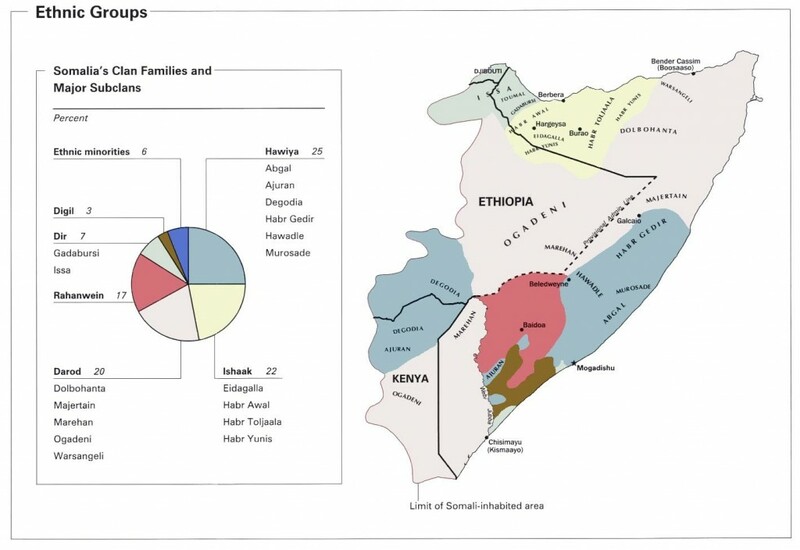 Malaysian State-owned oil and gas company Petroliam Nasional is working in its reserves in the Ogaden basin region of Ethiopia. Petronas is one of about 85 companies which have oil and gas exploration licenses in Ethiopia, but the Malaysia must soon pump gas though safer pipe to Kenya than the ever conflicting Red Sea through Djibouti. This surely will thus diminishing the importance of the Sues Canal , Dijibuti and Asseb, Berebara as a door way to world energy when natural gas bust out and repalce petroleum in the world market very very soon. Egypt sooner than later must enter in an open conflict in the horn of Africa supporting one or more of the faction in order to survive by assuring the Red Sea as a dominance passage to the new geopolitical gas. 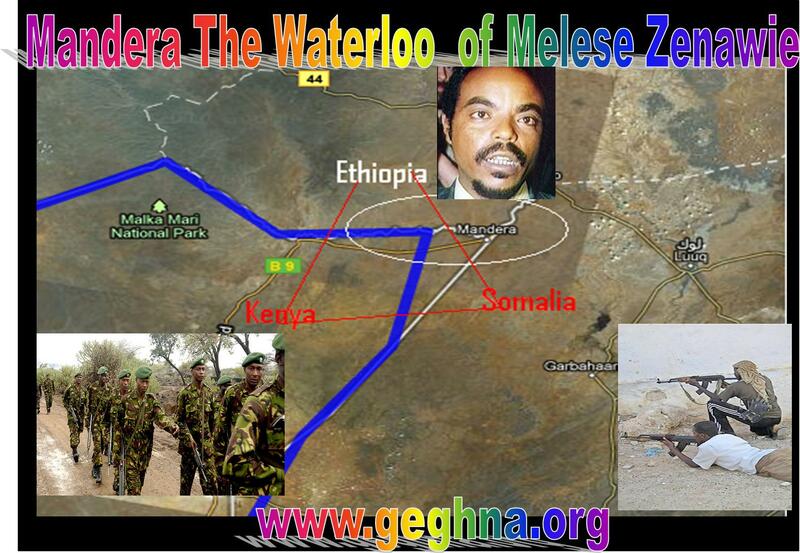 Egypt further must stop Ethiopia and Kenya from repartitioning Somalia as recently incited . Governments in a land landlocked countries like Ethiopia, Uganda, Central African Republic and Southern Sudan Must use Lamu port than any other port in the region for secure their exportation. The Ethiopian regime’s plan to build a recent pipeline to the Somaliland port of Barbara will not be viable since the opposite Islamic Unity party took power in July 2010 and more instability will follow if it join Mogadishu. Any sensible government in Ethiopia must back Lamu project as the only viable and safe sea port for future gas or any exportation to the fast growing Asia, South Africa and even as well as to Europe. The estimates for the construction cover 1,000 acres in the region of Manda Bay in Lamu District including plans for an oil refinery and terminal, international airport and railway track to Juba in Southern Sudan. Construction of Kenya’s second seaport in Lamu is taking shape with sketches already drawn and aerial photomapping being done in towns along the route. The government’s lead consultant on the multi-billion-shilling project revealed that detailed designs for the first three berths are ready while hydraulic surveys have been completed. Dr Mutule Kilonzo and the minister for Transport Amos Kimunya separately said the Japanese consultants hired by the government last April would submit the financial implications of constructing the port in a report next month. The transport corridor is expected to serve an estimated population of 85 million Ethiopians and another 15 million from Southern Sudan. Once completed, LAPSSET is intended to increase business opportunities in tourism, agriculture and manufacturing. Japan Port Consultant was given 10 months last May to carry out a feasibility study on the port as well as give an estimated cost for the project. During the last financial year, the government allocated Sh500 million for the studies. “In one-and-a-half months the port will have taken shape,” Dr Kilonzo said in an interview. The government’s lead consultant said aerial photomapping was ongoing in Isiolo and Garissa that are among towns to be served by a standard gauge railway line that will run in to Southern Sudan. A transcontinental highway is to run parallel to the railway line, giving landlocked countries like Ethiopia and Southern Sudan access to the Indian Ocean coast. Dr Kilonzo noted that a final report on the various surveys, including hydraulic, bathymetric (study of underwater depth) and geophysical would be ready at the end of next month. He said the consultants from Japan had also visited Southern Sudan and Ethiopia to gather information for the projected port. 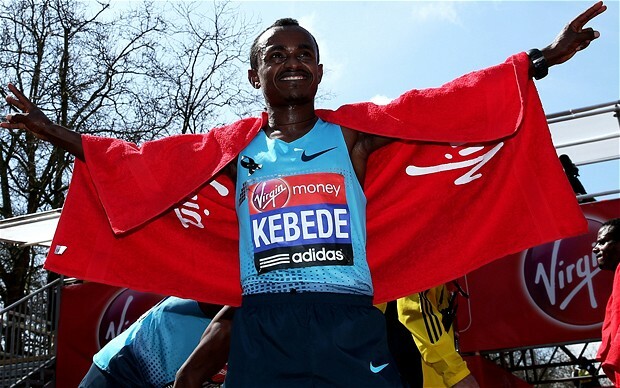 Officials in Juba and Addis Ababa are reported to have expressed high expectations on the port. Mr Kimunya said the consultants were conducting studies on the speed of water and wind as well as carrying out surveys in the Indian Ocean and Manda Bay. “They need to establish the depth of the sea and whether dredging is necessary,” he said. The ministry of Lands has set aside 1,000 acres for the port’s quay in what many see as Kenya’s new coastal town that may link Africa’s northeastern coast to the West. Mr Kimunya confirmed that the proceeds of the sale of Nairobi’s Grand Regency hotel to a Libyan company amounting to Sh2.5 billion were still being held by the Treasury for the project. “The money is held in trust by Treasury for the project,” the minister said of the project, reported to be close to President Kibaki’s heart. The minister cautioned land speculators who have swarmed Lamu hoping to make a killing when the government eventually embarks on the construction of the port. “They (speculators) should know that land in Lamu will not be acquired by government,” he said. China and Japan are among the countries that have shown an interest in funding the Lamu Port project. According to theory, grandly designed infrastructure projects tend to pose high corruption risks. Corrupt influence may be brought to bear especially at the design stage on projects, their scope and components made unnecessarily complex just to increase the potential for corrupt earnings especially during procurement. These days, anti-corruption watchdogs advise that all large and complex infrastructure projects be subjected to thorough corruption-risk assessment right from their feasibility studies stage to the very end. I make the remarks as an entry to point to a discussion on the multi-billion shilling Lamu Port project. By all accounts, this is a grandly-designed project with multiple components. Is it not just astonishing that we are going to pay the consultant a massive Sh3.2 billion for a nine-month feasibility study? Already, the consultant, Japan Port Consultants of Tokyo, has been paid Sh500 million hardly three months after being contracted. First, the government recognises that it will not be able to raise the money to finance the actual building of this mammoth project. In the circumstances, it is convinced that the best option is to invite private sector operators to finance and build the port, and then operate it for a given length of time under a concession before it is eventually returned to the government’s ownership. The arrangement is what is known as a “build operate and transfer” project, commonly referred to as BOT. The billions of shillings we are spending on the studies and “detailed designs” are meant to generate information the government will use to lure interested investors. Indeed, part of the reason why we are paying the colossal amount for the studies is because the Japanese have been asked to go to the extent of producing “detailed designs” for several components of the project. Several questions arise. Why are we spending billions of shillings of taxpayers’ money to do detailed designs for projects we intend to sell to third parties who will have their own ideas of how to build the port? Does this make economic sense? Why can’t we just do inexpensive basic studies and leave actual detail-designing to be handled by prospective BOT investors, depending on their financial and technical capacities? As it is, we risk ending up with piles of expensively produced designs for projects which might not see the light of day. We have several cases where public institutions have had to pay millions of shillings for designs of projects, which did not take off. Last year, the National Hospital Insurance Fund paid Sh390 million to consultants who did detailed designs for a training centre the fund had planned for in 2001 in the Karen area. The project did not materialise. Then there is the case where the State-controlled Kenya Re-insurance Corporation in 1997 spent hundreds of millions of shillings for designs for a multi-million shilling airport transit hotel, which was never built. Clearly, the scope of feasibility studies job for the Lamu Port project has been made unnecessarily complex. In all, it has a total of seven components. It encompasses a master-plan, including detailed designs for the first three berths. Then there will be studies for a standard gauge railway line between Lamu and Juba, an oil pipeline from Lamu to Lokichoggio and Moyale, an oil refinery, new road networks, a new airport and a free port, and fibre-optic cables. In addition, three resort cities are to be built at Manda Bay, Isiolo and on the shores of Lake Turkana. Without doubt, the Lamu project is a good one. The whole idea of creating an alternative transport corridor makes a great deal of sense. If we don’t do a good job of the cost and scope of the feasibility study, we may end up with corruption and several white elephants.